As the fall real estate market gets underway, it’s more competitive than ever to sell a home in the Naperville area. 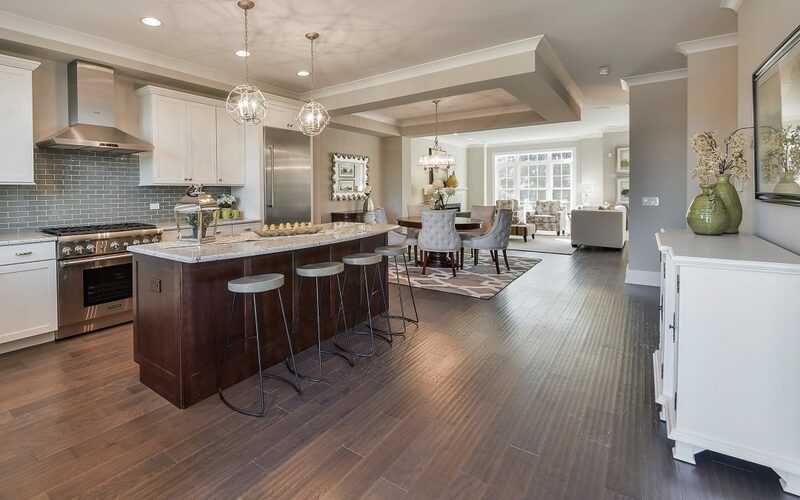 That’s why so many real estate professionals and home sellers turn to Chicagoland Home Staging to help properties stand out from the competition — sell faster and ultimately for more money. Every home can benefit from some form of staging. Sellers may just need some advice or an action plan to follow. Here at Chicagoland Home Staging we specialize in vacant staging, where our team will provide rental furniture and accessories to dress up an empty property for your next showing. While your name is still on the mortgage, you need to detach from the property when on the market. A home seller should think of their home as a product, and it must be merchandised and marketed properly to get the biggest return on investment. One way to detach from the space is to pack up any personal items, like collectibles, personal photographs and religious or cultural artifacts. By de-personalizing the property, buyers can visualize themselves living in the space and avoids distractions based on decorative tastes or personal touches. Instead, choose a neutral color palette, furnishing and decor that resonates with the potential buyer’s demographics and psychographics to lure them into make an offer. When you’ve lived inside a property for a while, it’s hard to see it objectively. That’s why it’s always helpful to get a professional opinion before marketing a home. Our team at Chicagoland Home Staging knows what to highlight and feature in the property, as well as, what improvements need to be addressed. Many times repairs are overlooked by home sellers because they’re so used to seeing them, a fresh pair of eyes would make the unnoticeable stand out. Keep in mind that your everyday belongings shouldn’t be on display. This helps prospective buyers picture themselves living in your home. Plan on removing 80 percent of the stuff that you don’t need in your property while on the market. The most common items causing “visual clutter” includes: toys, mail and laundry piles, so be sure to implement a system that will help you keep everything organized and under control. As home stagers we want your property to feel “warm and inviting.” Once the home has been neutralized, our company can maximize the square footage with the proper furniture placement and add the finishing touches. Items like flower filled vases, a tray with faux pears, coffee cups and a plush throw sets the scene allowing your property to stand out among the competition, while creating those subliminal emotional cues that can connect the right buyer to your property. Need help staging a home? Contact us today! We’d be more than happy to assist you with your home staging needs.